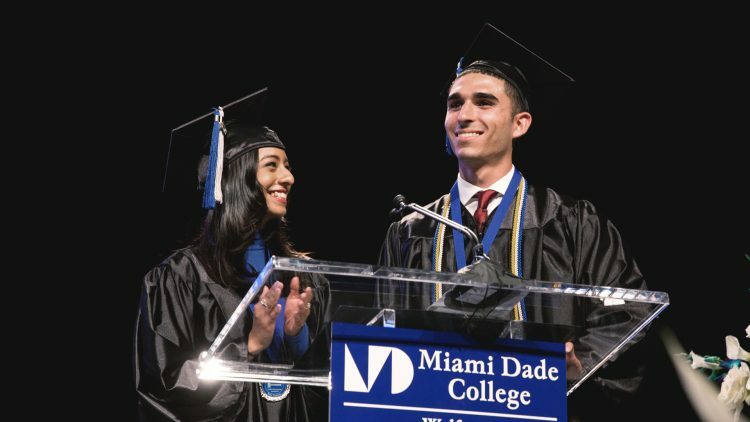 Wolfson Campus student, Enrique Sepulveda, achieved an important milestone last Saturday – he graduated from Miami Dade College with a major in political science. When he registered for classes at MDC two years ago, his world changed and he was welcomed into a family – the family he felt he never had. Until that point, Sepulveda had been engaged in a battle with what he calls the “negative influences,” that surrounded his upbringing. With a strong determination to succeed and guidance from a number of key figures in the MDC community, Sepulveda triumphed over homelessness, the effects of parental substance abuse and the pervasiveness of gang violence in the projects where he grew up. In time, he was elected vice president of the Student Government Association at Wolfson, was awarded a scholarship to study in Indonesia for the summer and has been covered in the media. Despite his remarkable achievements, Sepulveda wants people to know that his circumstances are not unique. There are a significant number of students out there who are homeless and in need of guidance and support.